Pianist Muhal Richard Abrams co-founded the AACM in 1965 and served as its president almost continuously until 1977 when he moved to New York. Michael Cuscuna wrote "In the mid '60s, he spearheaded the AACM Chicago avant garde movement, leading his own band and working with the Art Ensemble of Chicago and Anthony Braxton, among others. Things To Come is his third album for Delmark and his most varied - seven compositions, all set with different instrumentation. 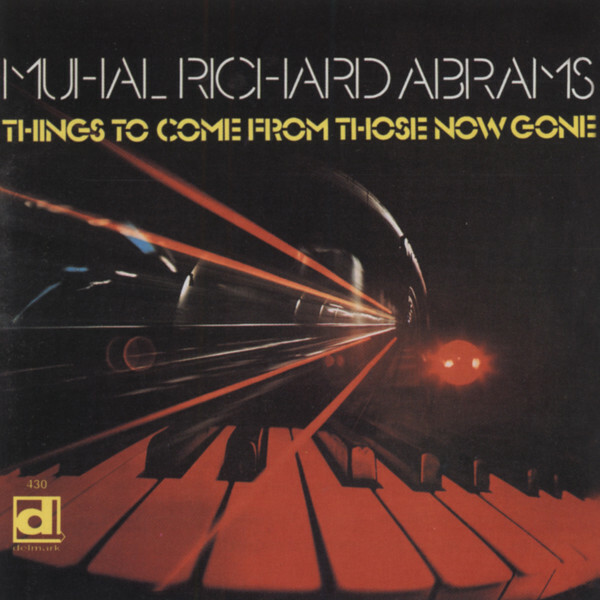 Abrams' brilliant eclectic playing and composing come through well." This '72 session features Ari Brown, Steve McCall, Rufus Reid and others. Évaluations de clients pour "Things To Come From Those Now Gone"